Thirsty Pilgrim: A Liter of Stille Nacht. Sharing Recommended. Everyone has their tastes, and mine tend to shy away from sweet beers. Another thing that everyone has: exceptions. One of my favorite exceptions is Stille Nacht. Fresher bottles tend to be honey-sweet, with great malty depth, only barely balanced by bitterness and alcoholic warmth. More balance and greater complexities emerge after a year or two of age. Anyway: Moeder Lambic Fontainas currently has Stille Nacht on draft, along with a slew of other Belgian winter and holiday beers (including Rulles Meilleurs Voeux, Senne Equinox and Zinnebir Xmas, Dupont Avec Les Bons Voeux, Gouden Carolus Christmas, Tournay Noël, Gouyasse Noël, and more). 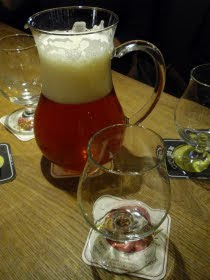 And because I think I failed to mention it before, Fontainas also has its draft beers available by the pitcher — a true rarity in Belgium. These 1L pichets cost the same as four 25cL glasses or three 33 cL's, so there's no deal to be had. But it's not about thrift. It's about quantity. 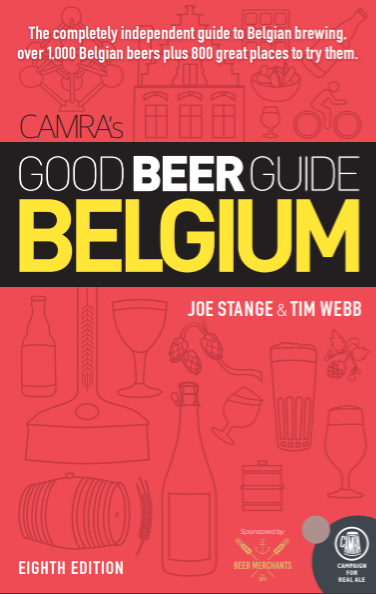 This makes a lot of sense for beers like Taras Boulba, for example, at a refreshing 4.5% abv. My thirsty belly laughs at 25cL of that stuff and demands a half-liter. But a 1L pichet? Well, that will do. Do I have to share? Now, Stille Nacht. It's 12% abv. A pitcher of that stuff should be just evil and wrong. Except that it's good and right. Must be one of those exception things. Holy ABV Batman... a pitcher of Stille Nacht! Insane. You get all the good tipples that side of the pond... hope all is well...Cheers. God, I love that beer. One of the best beers I ever tasted was a 2005 bottle of Stille Nacht Reserva (drank in late 2007), what an experience! Hope to have the chance to taste SN on draft on day!